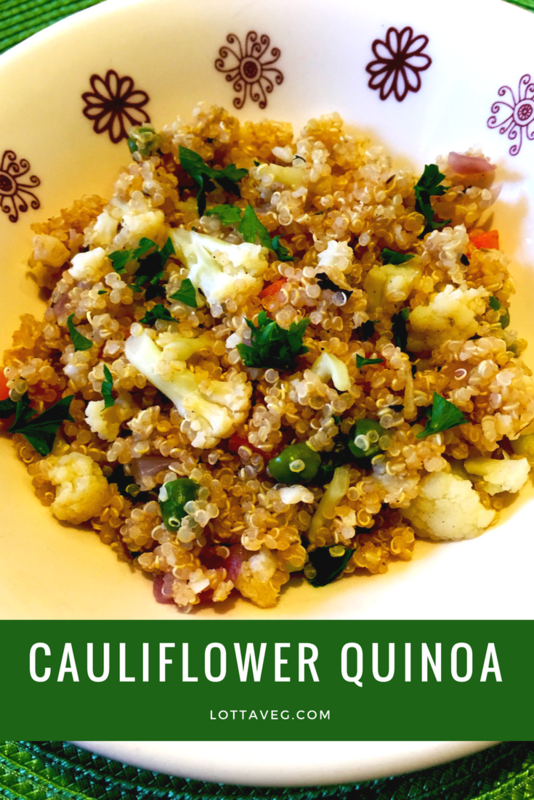 This Cauliflower Quinoa recipe is a real palate pleaser. It’s savory and delicious, with lots of protein and other nutrients, but without many calories. One cup is only about 183 calories. That makes it a great weight loss recipe. 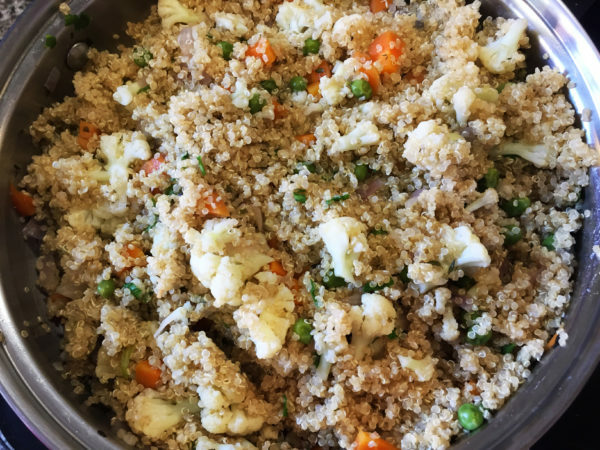 Due to its high protein content and nutritional value, quinoa has risen in popularity over the last few years, which has also led to an increase in its price. Quinoa can be quite expensive now, but Whole Foods has a Super Grains blend that’s much less expensive. Feel free to substitute that for pure quinoa. This is a great one dish meal for lunch, or paired with a soup or side salad if you have a bigger appetite. This Cauliflower Quinoa recipe is a real palate pleaser. It's savory and delicious, with lots of protein and other nutrients, but without many calories. That makes it a great weight loss recipe. 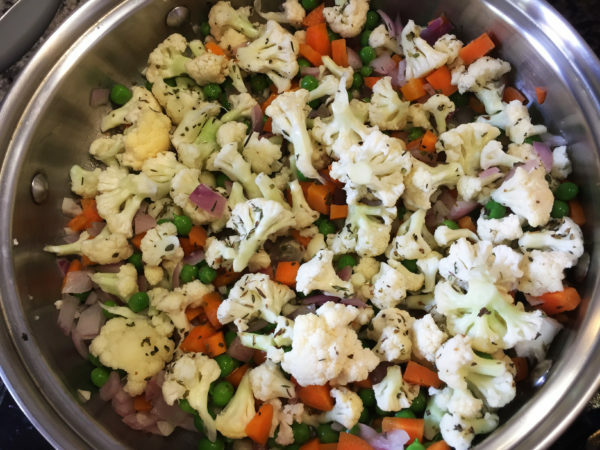 Chop your cauliflower, onion, garlic and carrots. 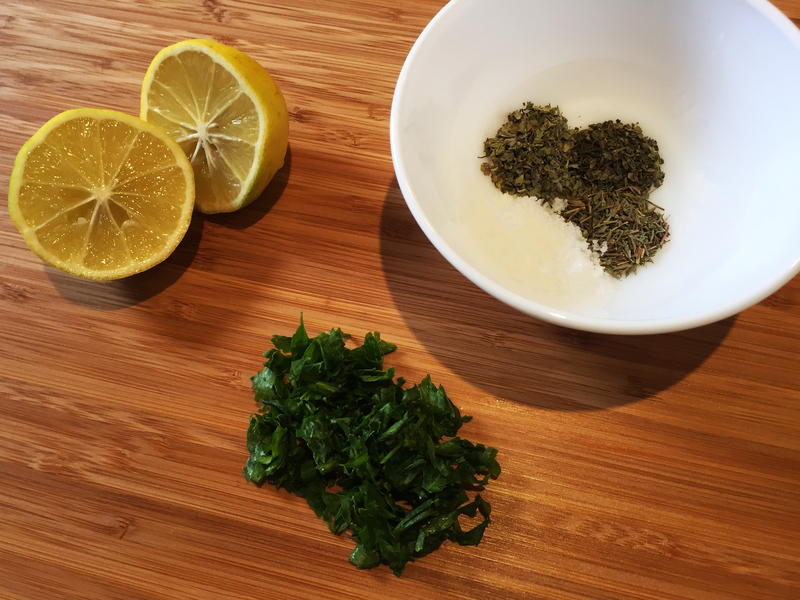 Prepare your dry spices and lemon. 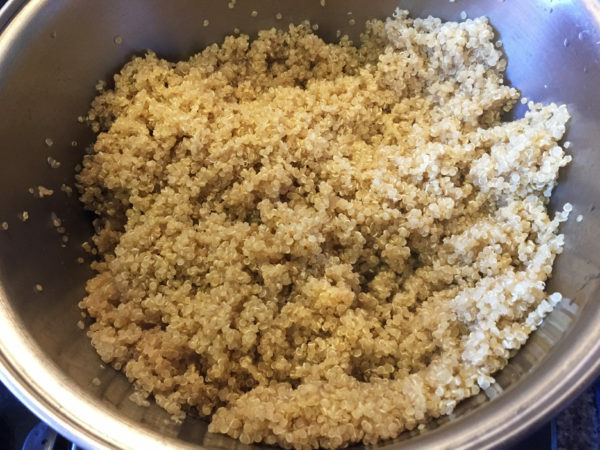 Cook quinoa according to package instructions using water or veggie broth. 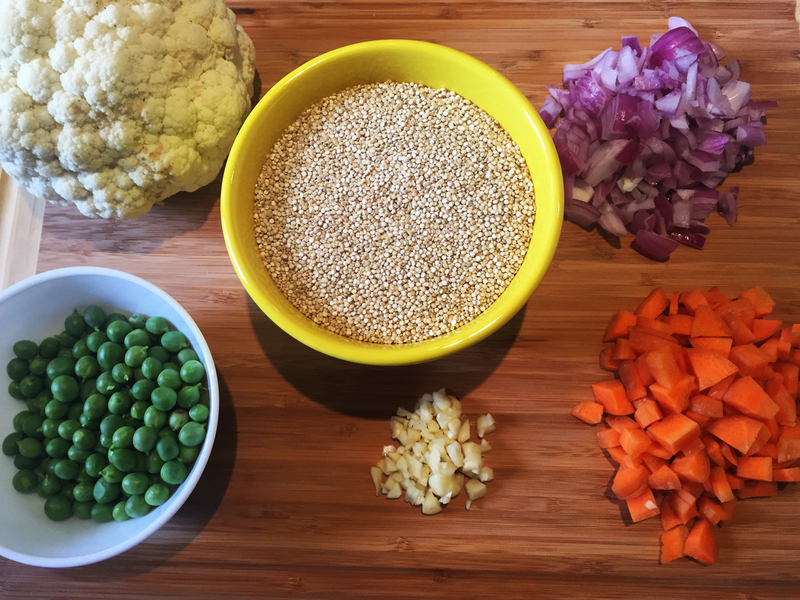 While the quinoa is cooking, heat the vegetable broth in a large skillet over medium heat. Saute the veggies with the salt, oregano, thyme and basil until tender, about 10 to 15 minutes. Stir frequently. Cover the skillet to trap the moisture so the veggies don't burn. 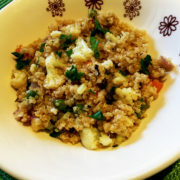 When the veggies are tender, add the cooked quinoa, fresh parsley and lemon juice to the skillet and stir to combine. Serve hot, warm or cold and enjoy topped with a little extra fresh parsley. 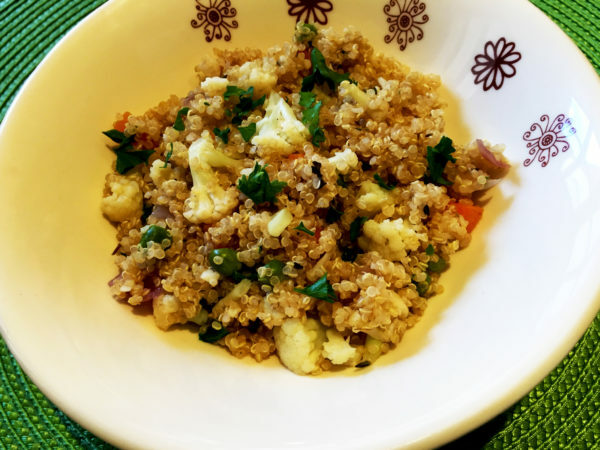 Serving size is 1 Cup of Cauliflower Quinoa.